In October 1894, the first ever class in Education was held in the University of Glasgow with a group of 24 students (7 women and 17 men) and one lecturer, Dr David Ross, Principal of Church of Scotland Training College. Ross had long campaigned for Education to become a taught subject at University arguing in a pamphlet written in 1883, not just for the establishment of a Chair, but also for the establishment of a Master's degree in education and the setting up of a Faculty of Education. Ross was appointed as a lecturer in 1894 on a five-year part-time contract, to conduct a class in the 'Theory, Art, and History of Education'. The first women in his class were enrolled at Notre Dame Training College and did not receive University degrees. The class met daily and Ross divided up his lectures into three blocks: Theory of Education, Education as an Art, and History of Education. In Theory of Education, the topics included: End and aim of education', 'The training of the senses' and 'Cultivation of the imagination';. The block on Education as an Art was essentially a teaching methods section which dealt with topics such as 'The art of questioning', 'School organisation' and 'Infant and Kindergarten teaching'. In the History of Education Ross dealt with special periods which varied from year to year: Only two textbooks are mentioned: Roger Ascham's The Scholemaster and David Stow's Training System. Ross died in 1900, having been succeeded in the lectureship by John Adams in 1899. 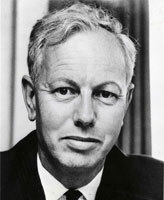 The Chair of Education was finally established in 1951 with Stanley Donald Nisbet as the first professorial incumbent. 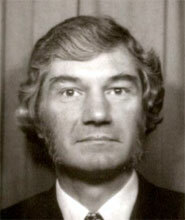 He remained in post until 1978 and was succeeded by Nigel Grant, an enthusiastic comparativist in education who held the Chair of Education until 1995. At the time of the centenary of the Department of Education in 1994 more than 200 students were enrolled in a wide variety of courses at both undergraduate and postgraduate levels leading to a number of qualifications and degrees, the main one being Master of Education. By 1994 the Department of Education at the University of Glasgow had developed close links with St. Andrew's College of Education, Bearsden, which was an associate college of the University. St Andrews College, a Roman Catholic Institute of Higher Education, was formed in 1981 on the merger of Notre Dame College of Education in Bearsden and Craiglockhart College in Edinburgh. Notre Dame College of Education was founded in 1894 as Dowanhill Training College by the Sisters of Notre Dame de Namur and Craiglockhart College was founded in 1919 by the Society of the Sacred Heart. Both were Roman Catholic teacher training institutions initially for women students only. Men were admitted to Notre Dame College from 1967 and the College moved from the west end of Glasgow to Bearsden in 1968. On 11 April 1999 St Andrew's College of Education merged with Glasgow University and formed the University's first Faculty of Education. The teaching and study of law is as old as the university and began with canon and civil law in 1451. There were long periods when legal scholarship did not flourish, though distinguished individuals like Robert Henryson and William Elphinstone were among some important exceptions. The Reformation brought changes to the law, but not the resources to foster its teaching at Glasgow, so that for a very long time young men entering the profession did so by way of apprenticeships or went abroad to study at European universities. 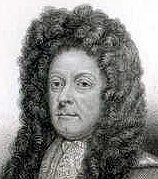 The great luminary of Scots law in the seventeenth century, Viscount Stair, who was a professor at the university from 1641 to 1647 and was the author of the codifying Institutions of the Law of Scotland had no formal, or systematic legal education. His work was and is of such fundamental importance that the building which currently houses the School of Law is named after him. It was not until 1713 that the regius Chair of Law was created and funded by the Crown. A revival in the teaching of law followed, notably when John Millar was appointed in 1761. 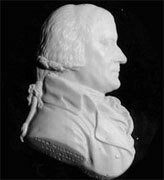 His lectures attracted students from all over the country and from Europe and his work, The Origin of the Distinction of Ranks (1771) gives him a credible claim to be one of the founders of sociology. Law at Glasgow also benefitted enormously from the contributions of its Moral Philosophy professors, especially Francis Hutcheson, Adam Smith and Thomas Reid. Until the late nineteenth century, many students attended university classes without graduating, and the boundaries between faculties were quite fluid. The degree of LLD was awarded on a somewhat inconsistent basis, sometimes on examination, sometimes on an honorary basis. The degree of LLB was established in 1862. It was open only to Arts graduates. The BL, open to non graduates, was created in 1878 and was more orientated towards practice, though a law degree of any kind was not the prerequisite for entrance into the profession. As the Law Society began to give exemptions from some of its requirements to those who possessed a law degree, and began to require examination in subjects taught at Scottish universities, matriculations increased, though the majority of intending lawyers continued to study part-time in the course of their apprenticeship, without graduating. The trend throughout the twentieth century was towards merging the BL and the LLB. This happened finally in 1960 and the new regulations did not require an MA as an entry requirement. Graduates could, however, complete the degree in two rather than three years. Student numbers soared. There were 114 students in the first intake after the new regulations, compared to 40 the previous year. Law was now firmly a full-time university course and with very few exceptions, the LLB was the gateway to the profession. In terms of the curriculum, a debate had gone on throughout the twentieth century and into the twenty-first as to the purpose of a law degree. Was it a vocational qualification or an academic one? As expansion has continued apace, the answer seems to be that it is both. The majority of students continue to choose subjects which satisfy the Law Society's professional requirements, but spend the last two years of their degree building from an array of honours courses. The curriculum has diversified and reflects the interests of an international, research-active staff. The proliferation of courses began over a century ago and reflected both specialisation and the growing complexity of the law. Thus a chair was created in Conveyancing in 1861, in Jurisprudence in 1952, a Mercantile Law lectureship in 1894 and a chair in 1919, a lectureship in Civil Law in 1894 and a chair in 1948 and chairs in European Law 1972, Medical Law 1990, and Law and Security in 2010. In 1925 a part time chair of Accountancy was created offering classes for law apprentices but mainly taken by accountancy apprentices. In 1967 the Bachelor of Accountancy became the normal entry to the profession. At the start of the twentieth century, Political Economy was the only department in the University that would be included in the group of disciplines we now know as the Social Sciences. 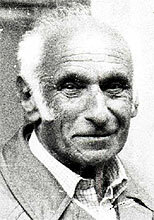 Indeed it was only in the period following the Second World War that some representation of contemporary social science was introduced and a number of new chairs were established in parallel with new departments such as Economic and Social History, Social and Economic Research, Politics and Sociology, and the Centre for Soviet and East European Studies. The Adam Smith Building, opened in 1967, brought the social science departments together, though the emergence of a separate Faculty was a little delayed. In the 1960s particularly, staffing and students expanded quickly, aided by new sources of finance and the demands of Government and its agencies for applied research studies, often on a multi-disciplinary basis. Professor Donald Robertson did much to establish Glasgow's early prominence in responding to the new challenges. By the end of the century, the following areas provided the nucleus of the Social Sciences Faculty: Economics, Politics, Sociology and Anthropology, Economic and Social History, Central and East European Studies, Social Work and Social Administration, Management Studies and Urban Studies. Some members of staff from Psychology, Geography and Philosophy were also included within the Faculty ambit. In the intervening years, departments such as Social and Economic Research, Latin American Studies and Town and Regional Planning had emerged and been absorbed or otherwise transformed. That perhaps was to be expected, as the mainly younger disciplines found their feet and as changing university finances and organisation prompted structural adjustments. The creation of the Social Sciences Faculty was not without its struggles. In the early post-war period, the green shoots of social science were located in the Arts Faculty, and some argued vehemently that they should remain so. But first, with the creation of a Social Sciences sub-faculty in the 1960s and then finally the emergence of a fully fledged Faculty in 1977 the subject areas concerned with the economy, society and behavioural relations were able to form their own policies and strategies. This was aided by national recognition in the form of the Social Sciences Research Council (later the Economic and Social Research Council), putting them on a par with Medicine, the Sciences and Engineering. The departments and centres associated with the Faculty were able to compete effectively for research grants and postgraduate scholarship awards, and throughout its (relatively) short history, it has been characterised by a strong research motivation. This support enabled important specialisations to develop, such as Soviet and East European Studies (Professor Alec Nove), the ESRC Centre for Housing Studies (Professor Duncan Maclennan), the Glasgow Media Research Group (Professor John Eldridge), the Centre for Business History (Professor Sydney Checkland and Professor Tony Slaven), and the Centre for Research on Industrial Democracy and Participation. It was characteristic of many of these developments that they were built on interdisciplinary and inter-departmental cooperation - a trend that has increasingly been adopted in other branches of knowledge.